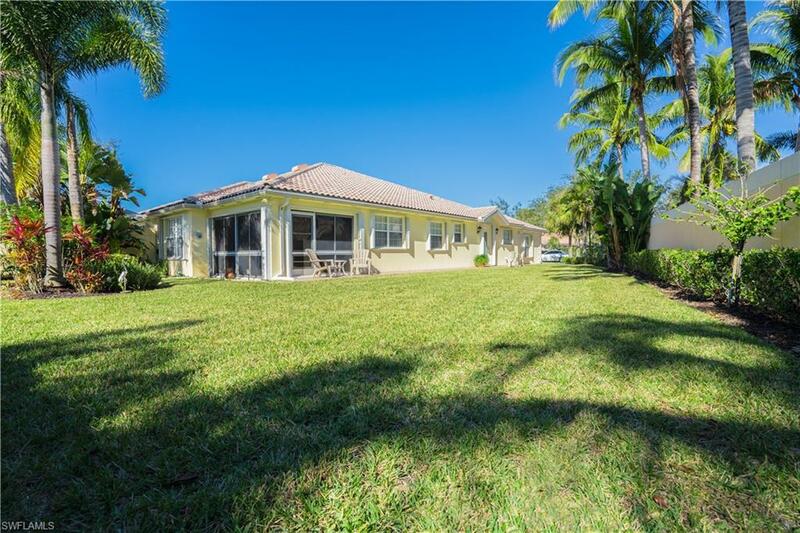 Looking for Peace and Tranquility with lots of Privacy? Come and see this Move-In Ready Gem situated on an Oversized Pie-Shaped Lot! 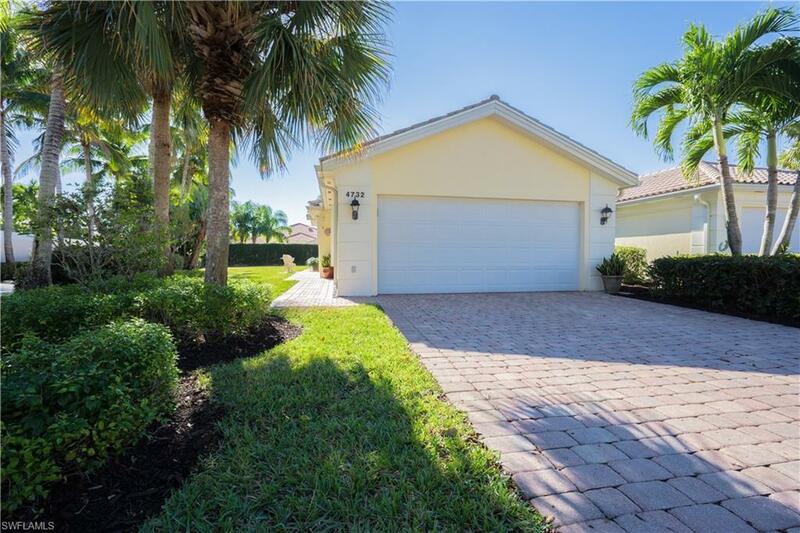 This MINT 2 Bedroom 2 Bath Villa with an Attached 2 Car Garage offers an additional 150 SF Florida Room that can be used as an Office, Den or short-term Bedroom. 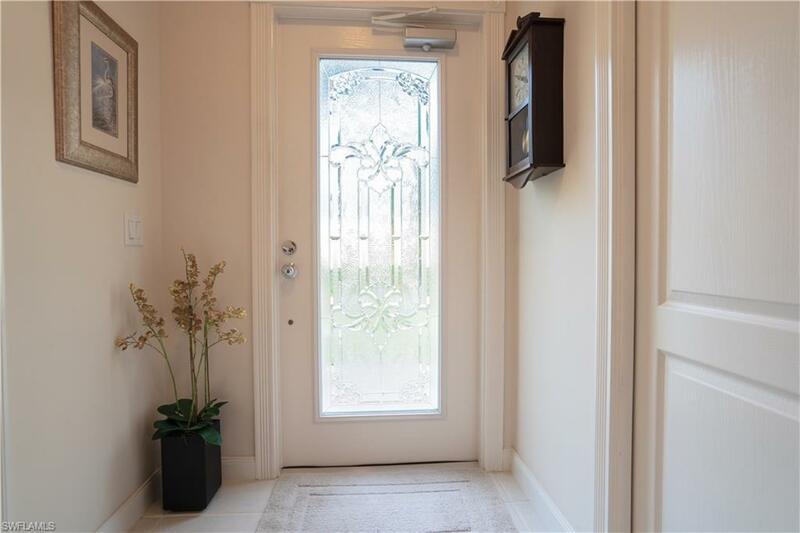 You will reap the benefits of the NEW A/C (2018) and the upgraded stylish "Whitewashed-Oak Look flooring and Tile throughout so NO CARPET to deal with. Guests will be impressed with your stunning QUARTZ Counters, Stylish New Sinks and Faucets in your Open Kitchen, Master and Guest Bathrooms and Laundry Room. Extras include easy to use Accordion Storm Shutters, Central Vacuum and a Security System. Enjoy the private greenspace of the Parkette across the street and a short stroll along the Waterways to the many Amenities offered at Town Center, including 2 Heated Pools so you dont have to pay extra Home Insurance or weekly Pool Maintenance Fees to enjoy swimming. What a DEAL...this Luxury Community with its LOW FEES and NO CDD gives you Amenities Galore and includes HDTV & High-Speed Internet, Looking for a Private and Low Maintenance Home that has it ALL? Then, this is the home for YOU!